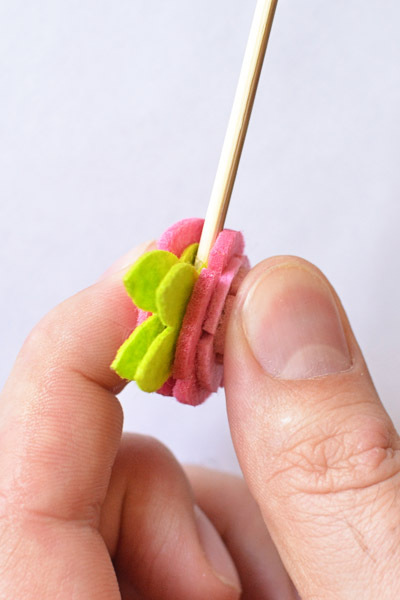 Looking for a DIY favor idea that’s klutz-proof? 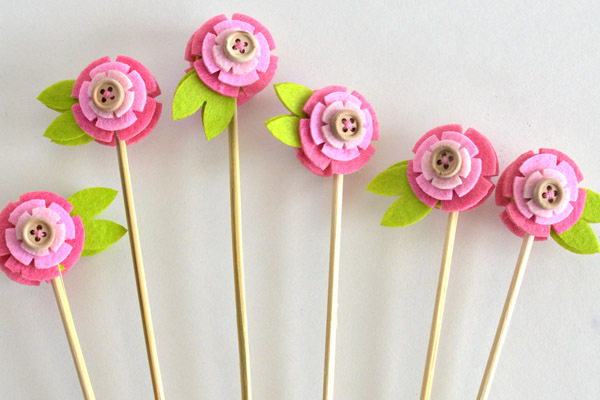 This DIY wedding craft project from Michaels is a cinch! BTW, if you are planning a DIY wedding, Michaels really is a one-stop shop for all your wedding and ceremony needs! The aisles are jam packed with all of the latest and greatest craft and baking supplies to help you pull off just about anything. If you need some inspiration, check out the DIY wedding projects section at Michaels for oodles of wedding-related tutorials. ( Michaels is offering 20% off your entire regular price wedding purchase. Click here for coupon. 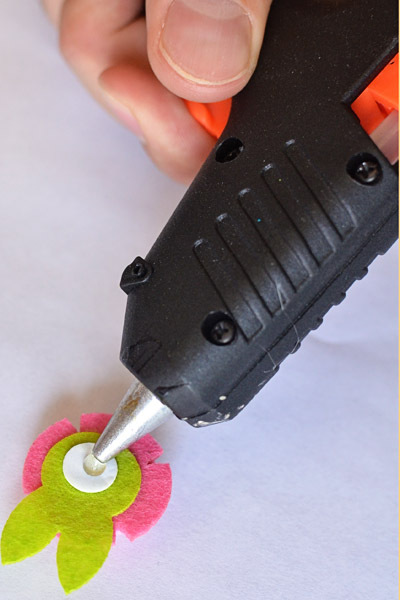 Fire up your glue gun and add a bead of glue to the back of one of the felt flowers. Add your dowel. 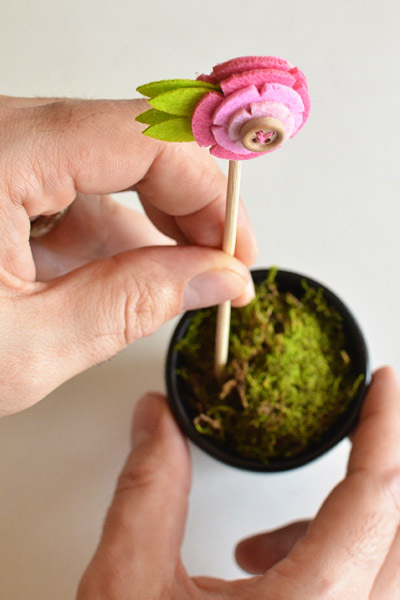 Place another bead of glue onto the dowel and add second flower. Press together for a few seconds until glue is set. 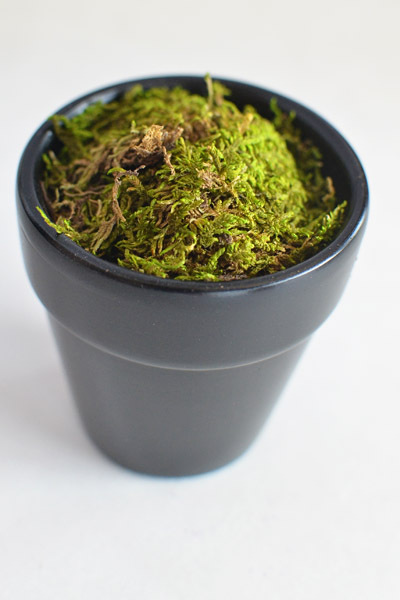 Place a small piece of foam into each of the chalkboard pots. Cover foam with moss. 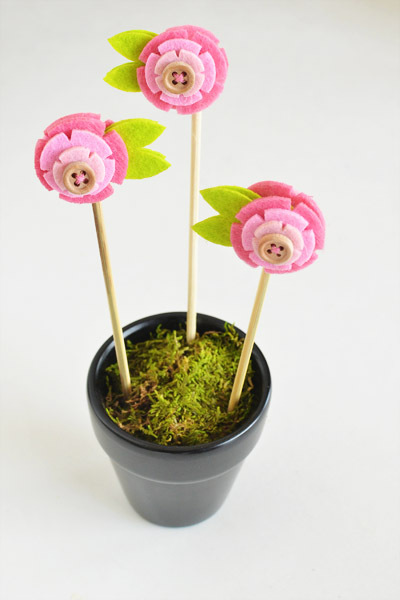 Place three finished flowers on sticks into the styrofoam. Make sure to vary the heights of each flower. 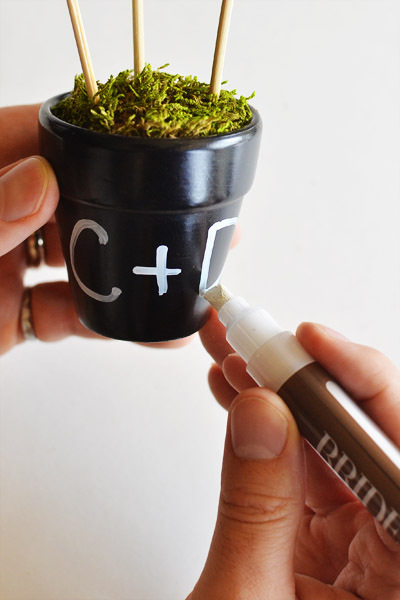 Finish by writing a message or table number on the front of each chalkboard pot using a BRIDES® chalk marker. Fini! 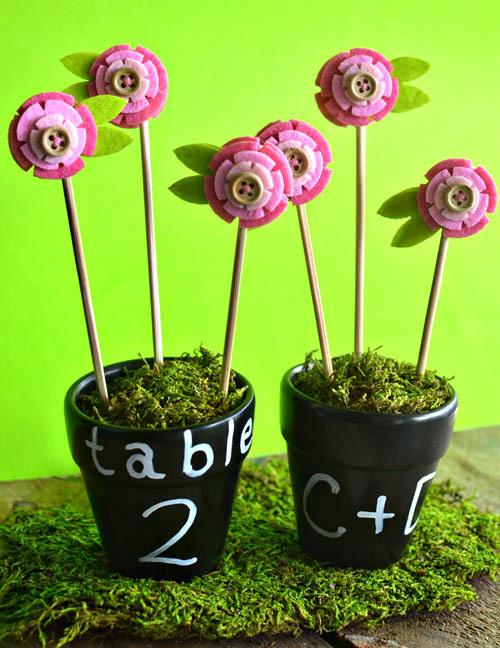 Use as DIY table numbers/wedding favors! 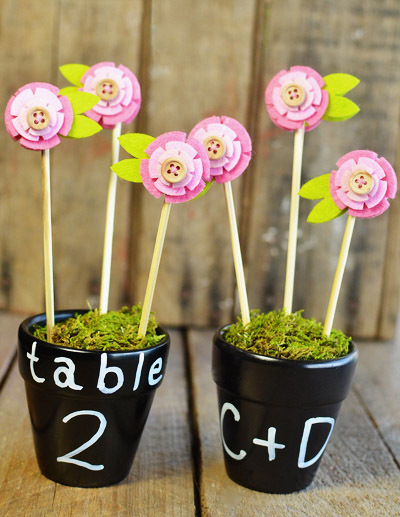 They also make adorable wedding shower favors.